The Shadow Listeners: A History of Wiretapping in the United States (Harvard University Press, under contract). 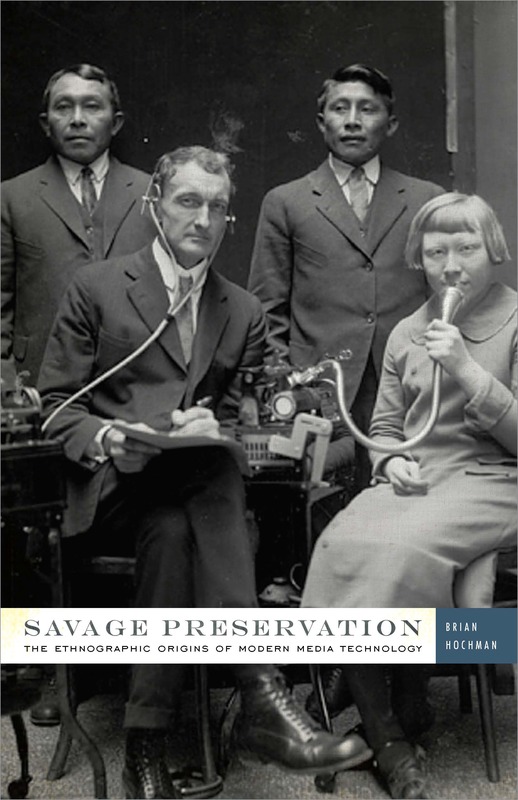 Savage Preservation: The Ethnographic Origins of Modern Media Technology (Minneapolis and London: University of Minnesota Press, 2014). 312 pp. “Wiretapping Stuff: Notes on Sound, Sense, and Technological Infrastructure.” Resilience 5.3 (Fall 2018), 96-108. “Eavesdropping in the Age of The Eavesdroppers, or, The Bug in the Martini Olive.” Post45: Peer Reviewed (February 2016). “Hearing Lost, Hearing Found: George Washington Cable and the Phono-Ethnographic Ear.” American Literature 82.3 (September 2010), 519-551. “Ellison’s Hemingways.” African American Review 42.3-4 (Fall/Winter 2008), 513-532. “Language in Motion: The Sign Talk Films of Hugh Lenox Scott and Richard Sanderville.” The Multilingual Screen: New Perspectives on Cinema and Linguistic Difference, eds. Tijana Mamula and Lisa Patti (New York and London: Bloomsbury, 2016), 183-205. “Joe Henderson.” The African American National Biography, eds. Evelyn Brooks Higginbotham and Henry Louis Gates, Jr. (New York and Oxford: Oxford University Press, 2008). “Nathaniel Mackey.” The African American National Biography, eds. Evelyn Brooks Higginbotham and Henry Louis Gates, Jr. (New York and Oxford: Oxford University Press, 2008). Uncertain Chances: Science, Skepticism, and Belief in Nineteenth-Century American Literature, by Maurice S. Lee. Notes and Queries 59.4 (December 2012), 616-617. Signal and Noise: Media, Infrastructure, and Urban Culture in Nigeria, by Brian Larkin. Callaloo 33.1 (Winter 2010), 356-358.